Let’s take a moment to think about selfsaucing dinners. 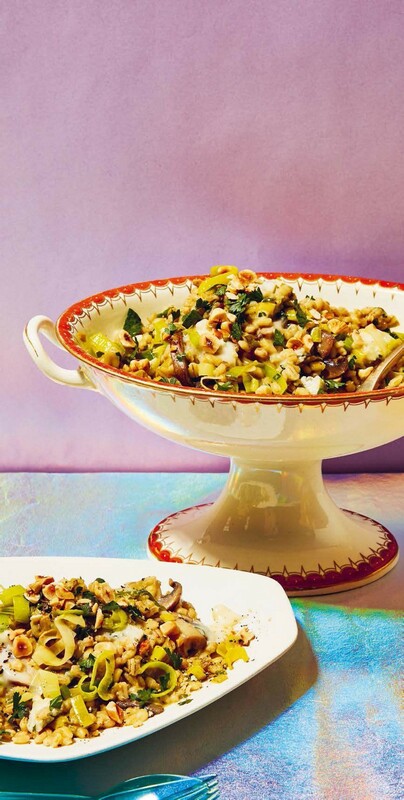 There’s no roux to be seen in this bowl; you simply stir salty, oozy, punchy Gorgonzola through sweet leeks, mushrooms, and creamy, hearty pearl barley and – with a squeeze of lemon – hey presto! You’ve got sauce.